A professional tyrant died on Tuesday after sustaining injuries when a bull came on the chest during a competition in Denver, according to the Professional Bull Rider Association. Mason Lowe was 25. Lowe competed at the National Western Stock Show, the association's CEO Sean Gleason said in a statement late Tuesday night. "The whole PBR and the national western sports family are expanding our heartfelt compassion and deepest sympathy to Mason's wife Abbey and his family," Gleason said. 8th in the world and lived in Exeter, Missouri. A witness who was at the bullfighting event told CBS Denver Lowe was bowed down and when the thread came on the chest. Apparently Lowe stood up, took a few steps and then collapsed. Another witness, Aurora resident Gerardo Alvarez, told CBS Denver: "He was thrown out of the bull, and while he was on the ground, his hind legs bumped him into the chest while he was trying to get up. As he got up immediately, The chest and stumbled over to the exit and then fell to the ground again and grabbed the chest before he could get out of the area. They took him out on a hanger. " In 2015, Lowe told CBS affiliate KOLR TV, which he began to ride on the family farm. "My dad put me on some milk calves when I was 3, and since then I have gone to small rodeos and started from junior rodeos to small amateur bullies, and now I'm at the" Built Ford Tough "level," he told the station . 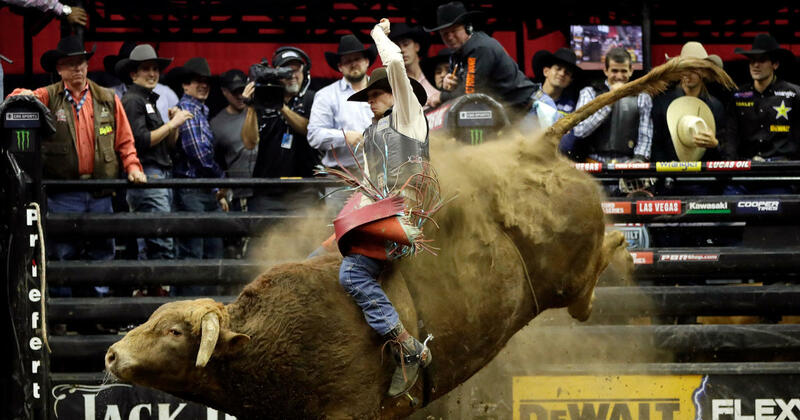 Lowe spoke to KOLR TV when he made his PBR debut, which he described as a dream. "Now that I've done this," said Lowe, "I really feel I've accomplished something in my life." Mason Lowe rides Cochise during the PBR Kansas City Invitational at the Sprint Center on February 15, 2017 in Kansas City, Missouri. The National Western Stock Show will hold a fundraiser for the Lowe family at the event on Wednesday night, PBR said.